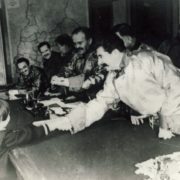 The history of this phrase dates back to July 6, 1936, when a delegation from the Buryat-Mongolian ASSR arrived in Moscow. 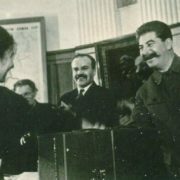 The first secretary of the regional committee, Mikhei Yerbanov, headed it, along with the Minister of Agriculture Ardan Markizov with his wife (then a student of the Moscow Medical Institute). 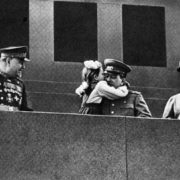 Also, with them was their daughter Gelya, who wanted to see the “leader of all nations”. 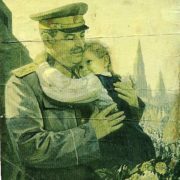 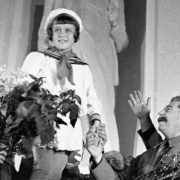 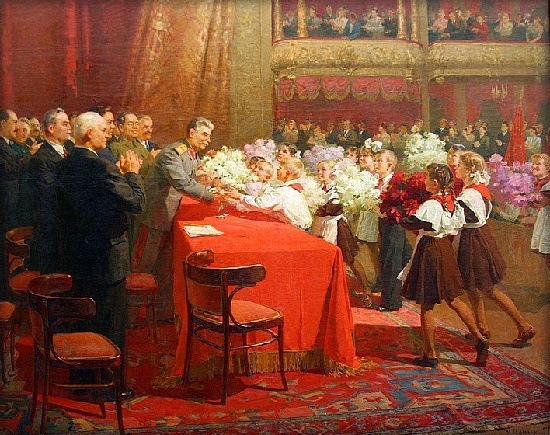 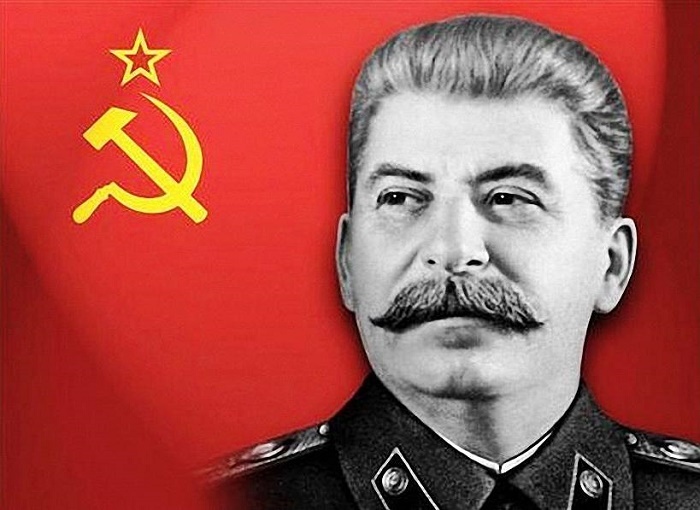 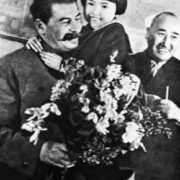 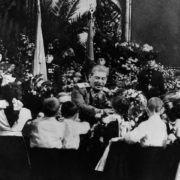 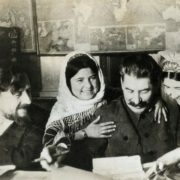 So, at the meeting in Kremlin Gelya handed Stalin a bouquet of flowers with the words: “These flowers are from the children of Buryat-Mongolia.” The deeply touched Stalin took the girl in his arms and kissed her. 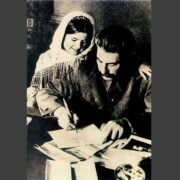 This moment, captured by a lot of present photographers and newsreelists, became iconic. 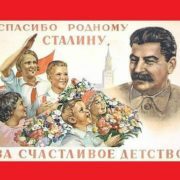 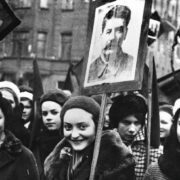 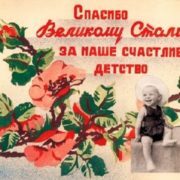 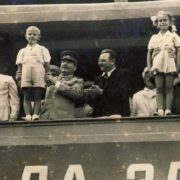 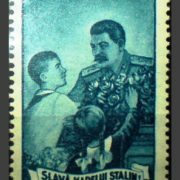 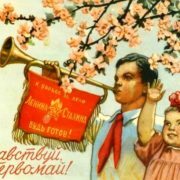 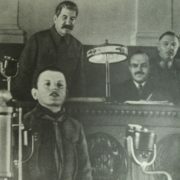 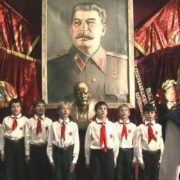 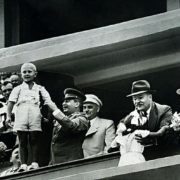 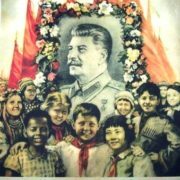 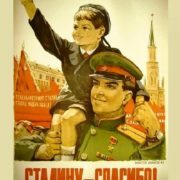 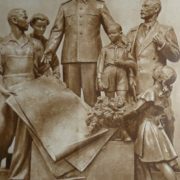 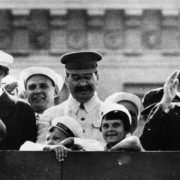 Besides, the photo, signed “Thanks to Comrade Stalin for our happy childhood!” appeared in all the newspapers of the USSR. 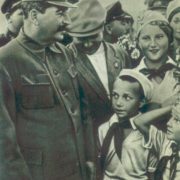 The government and citizens liked the words so much that later they began to paint pictures from the legendary photo. 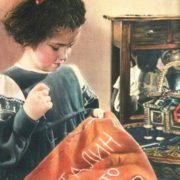 Such an iconic image adorned children’s institutions, produced in posters and even in sculptural compositions. 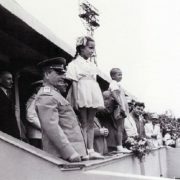 According to Gelya, her return to Ulan-Ude was triumphant, the same as later meetings cosmonauts. 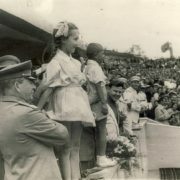 Invited to all the presidiums, she was very popular. 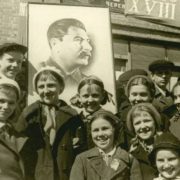 Indeed, Gelya soon became the idol of Soviet schoolchildren. 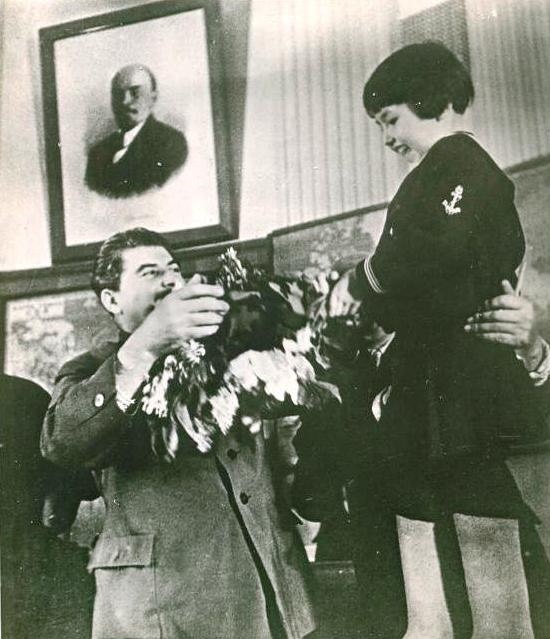 At the same time, the sale of sailor-style costumes (which she was wearing) greatly increased. 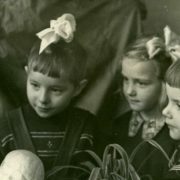 In addition, the haircut “like Gelya’s” became popular among Soviet children.